We haven’t run a lender market share story in a while, so no better time than the present. For share data, we like to call on David McVay of McVay and Associates Ltd. He tracks lender performance for a living and is always kind enough to share his stats with us. The Big 5 banks still hold two out of three Canadian mortgages, a number relatively unchanged since our last mortgage market share report 16 months ago. 248 bps of Scotiabank’s massive 265 bps market share gain is thanks to its ING Direct acquisition, McVay says. HSBC, ING Direct and CIBC all left the broker market, and not coincidentally, they all sit near the bottom in terms of market share performance. CIBC has taken the biggest hit of any bank in the last 12 months, losing 82 bps of share while it tries to replace broker originations with mortgages sold by its own sales force. 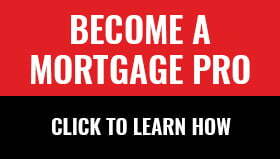 First National’s mortgage book (as seen here) consists of single-family residential mortgages under administration. That includes mortgages owned by other parties, where First National (FNF) is essentially collecting servicing/administration fees. Street Capital has posted massive 12-month growth through the first quarter of 2013. That positioned it just 30 bps behind First National for second place in the broker market. Some of the reasons: On standard mortgages, Street’s product features are second to few, its sales force is exceptional at relationship building and Street pays trailers (which some brokers love because they don’t have to fight lenders for their clients at renewal). MCAP has also turned it on in the prior 12 months. Like Street, MCAP picked up brokers stranded by CIBC’s wind-down of FirstLine. On top of that, MCAP’s pricing has been sharp for status brokers. * Overall Market Sources: Market share figures are estimates based on data from OSFI, the Bank of Canada, and McVay and Associates Ltd.’s proprietary sources. Data is as of April 2013 (there is a lag in lender reporting). McVay and Associates is a source of market intelligence and market share data in retail banking. Founded by David McVay, a 31 year veteran in financial services, McVay and Associates produces two widely-referenced industry reports: The Banking Personal Market Report and The Credit Union Report. ** Broker Market Source: D+H puts out a terrific, non-public report called Lender Insights, which compiles lender market share data in the mortgage broker industry. We receive data from that report via third party sources and have quoted it here. This data is not confirmed, but is believed reliable. Note: These market share figures do not count MorWeb volumes (D+H’s smaller competitor) but the data does provide a decent proxy of industry-wide market share. BMO is roping people in with lower rates that come with handcuffs. How many people know when calling BMO that its Low Rate mortgage cannot be refinanced out early and is stripped of BMO’s normal features? I’m sure it’s written in the conditions and the contract. I was going to say as well Rob, that I’m not surprised to see that BMO and CIBC have both taken a hit. As far as BMO’s super restricted mortgages, I believe DP said “when they call” not “three years after they’ve had their mortgage” so I don’t think what’s written in the contract matters too much. I do think it’s an awful marketing ploy they’re using, and I think some homeowners are going to be hurt by it. Or at the very least, waste their time calling BMO. Once again, thanks for sharing. Since I lack on the resource side – I prefer to piggyback on your data. The massive drop in First Nationals share should make a separate headline by itself. Is it surprising though? In my experience First Nat stops at nothing to renew broker clients and they don’t pay trailers. Maybe that is turning brokers off. I don’t get why Desjardins is #5. Don’t they just serve Quebec? What’s so special about them? Quebec people like their Caisse. Desjardins is everywhere there with 36% market share in mortgages. Having the largest branch network and the most mobile mortgage specialists in Canada probably helps a little. RBC was planning for this slight drop in market share and from what I’ve been told, thought it would be bigger (like 40-50bps). There are people on this site that continue to bash RBC for numerous reasons, yet they are #1 and will continue to be for the foreseeable future. Another interesting fact is that they stay #1 and are probably the hardest bank to get approved for a mortgage in Canada. They only accept top clients and have strict internal credit procedures to not approve people that shouldn’t be. They probably could have another 5-10% market share if they had some of the “lower” standards that other institutions and broker channels have approving clients. While I think RBC is a brilliant, powerful adversary, I am falling down laughing at “hardest to get approved” line. Very useful blog that has accurate numbers. There is a reason why those banks are on the top. People go to them for loans perhaps because they are the most reliable ones. Numbers change though as the interest rates increase.